As you've probably guessed by now, we can't get enough of hand-drawn maps of London. This latest offering is by Hannah Landsberger, who no longer lives in London, but spent a lot of time researching in the Isle of Dogs when she was studying here (researching what, we have no idea). 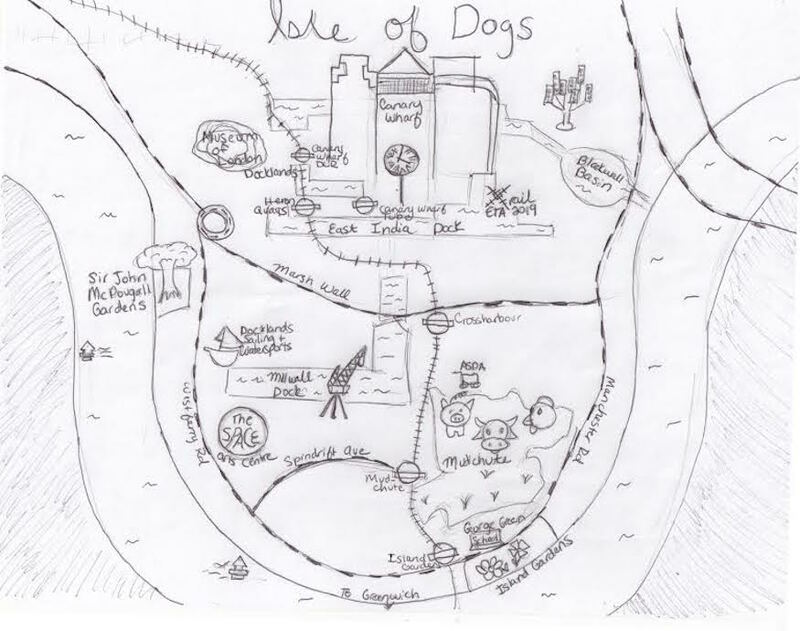 Fancy having a go at drawing your own map of an area of London? Email it to hello@londonist.com, and we'll publish our favourites. See our hand-drawn map of Regent's Park.